I am both glad and grateful that I have been able to help so many patients over the years. There have been many who were both frightened and in pain, and I have been able to ease both. Of course, I am helped in all of this by our wonderful staff members. Without them, it would be difficult to accomplish the level of care we are known for at Central Carolina Endodontics. Dr. Melanie Brown took the long route to endodontics. She went to dental assisting school and from there, straight to dental hygiene school, all at the Medical University of SC. She worked as a dental hygienist for five years before returning to dental school at the Medical University of SC, College of Dental Medicine for her Doctorate of Dental Medicine, which she completed in 1993. Dr. Brown then went to the University of Pittsburgh Dental School for her residency in endodontics, finishing in 1995. A member of the American Association of Endodontists, Dr. Brown completes most of her continuing education requirements at their annual sessions. She also attends local dental society meetings through the Edisto Dental Society. This allows her to keep current on changes and developments in the field, especially new technologies, materials, and treatments. Dr. Brown was born in Atlanta, GA and grew up in Florence, SC. Both of her parents are from Kingstree, SC and both sides of her family have been in South Carolina for many generations. 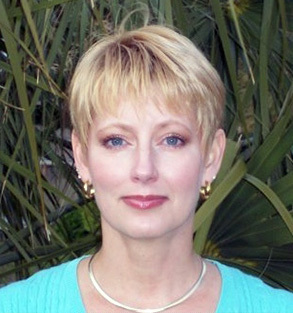 Dr. Brown currently resides in Beaufort, SC, with her husband Guy. They have been married since 1994. While they have no children, they have several “fur babies” to keep them company at home. Dr. Brown is an avid reader, loves to garden, works out at the gym, and spends much of her free time with her husband, friends, and family. She very much enjoys cooking and baking, and has recently taken on the challenge of making both gluten free.